Aurora Black 2019 Kia Stinger RWD 8-Speed Automatic 2.0L 4-Cylinder Turbocharged Located at 2900 Jacksboro Hwy Wichita Falls,TX. 76309. Patterson KIA. Patterson Auto Group Mission: From the beginning, owner Harry Patterson stressed a simple philosophy... "If it's only good for me, it's not right. The transaction has to be good for the buyer and seller alike." Still active in the day to day operations, Patterson has continually made changes that make the buying experience easy. A few examples include: By listening to our clients, our team of trained, professional associates consistently provide a shopping, service and total ownership experience that exceeds each individual's expectations and fosters a "Client For Life" relationship. We are committed to being the best... We'll Prove it! "We are ladies and gentlemen serving ladies and gentlemen." Simplified Pricing Who really likes to haggle over a car? Not us - and probably not you. So we cut to the chase up front and offer the rock-bottom price on each vehicle from the start. It's simple, hassle-free and it saves you money. Actual Cash Value We don't juggle numbers by showing you an inflated trade-in value - matched by an equally inflated price on the vehicle you're purchasing. We appraise your trade-in at actual market value. And we'll buy your trade-in even if you don't buy your vehicle from us. The Patterson Difference Patterson's is different from other dealerships in many ways our customers appreciate. These differences have made us the area's top volume dealer over the last three decades. Red 2019 Kia Stinger RWD 8-Speed Automatic 2.0L 4-Cylinder Turbocharged Located at 2900 Jacksboro Hwy Wichita Falls,TX. 76309. Patterson KIA. Patterson Auto Group Mission: From the beginning, owner Harry Patterson stressed a simple philosophy... "If it's only good for me, it's not right. The transaction has to be good for the buyer and seller alike." Still active in the day to day operations, Patterson has continually made changes that make the buying experience easy. A few examples include: By listening to our clients, our team of trained, professional associates consistently provide a shopping, service and total ownership experience that exceeds each individual's expectations and fosters a "Client For Life" relationship. We are committed to being the best... We'll Prove it! "We are ladies and gentlemen serving ladies and gentlemen." Simplified Pricing Who really likes to haggle over a car? Not us - and probably not you. So we cut to the chase up front and offer the rock-bottom price on each vehicle from the start. It's simple, hassle-free and it saves you money. Actual Cash Value We don't juggle numbers by showing you an inflated trade-in value - matched by an equally inflated price on the vehicle you're purchasing. We appraise your trade-in at actual market value. And we'll buy your trade-in even if you don't buy your vehicle from us. The Patterson Difference Patterson's is different from other dealerships in many ways our customers appreciate. These differences have made us the area's top volume dealer over the last three decades. Blue 2019 Kia Stinger GT RWD 8-Speed Automatic 3.3L 6-Cylinder Turbocharged Located at 2900 Jacksboro Hwy Wichita Falls,TX. 76309. Patterson KIA. Patterson Auto Group Mission: From the beginning, owner Harry Patterson stressed a simple philosophy... "If it's only good for me, it's not right. The transaction has to be good for the buyer and seller alike." Still active in the day to day operations, Patterson has continually made changes that make the buying experience easy. A few examples include: By listening to our clients, our team of trained, professional associates consistently provide a shopping, service and total ownership experience that exceeds each individual's expectations and fosters a "Client For Life" relationship. We are committed to being the best... We'll Prove it! "We are ladies and gentlemen serving ladies and gentlemen." Simplified Pricing Who really likes to haggle over a car? Not us - and probably not you. So we cut to the chase up front and offer the rock-bottom price on each vehicle from the start. It's simple, hassle-free and it saves you money. Actual Cash Value We don't juggle numbers by showing you an inflated trade-in value - matched by an equally inflated price on the vehicle you're purchasing. We appraise your trade-in at actual market value. And we'll buy your trade-in even if you don't buy your vehicle from us. The Patterson Difference Patterson's is different from other dealerships in many ways our customers appreciate. These differences have made us the area's top volume dealer over the last three decades. Panthera Metal 2019 Kia Stinger GT RWD 8-Speed Automatic 3.3L 6-Cylinder Turbocharged Located at 2900 Jacksboro Hwy Wichita Falls,TX. 76309. 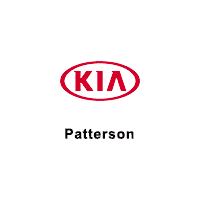 Patterson KIA. Patterson Auto Group Mission: From the beginning, owner Harry Patterson stressed a simple philosophy... "If it's only good for me, it's not right. The transaction has to be good for the buyer and seller alike." Still active in the day to day operations, Patterson has continually made changes that make the buying experience easy. A few examples include: By listening to our clients, our team of trained, professional associates consistently provide a shopping, service and total ownership experience that exceeds each individual's expectations and fosters a "Client For Life" relationship. We are committed to being the best... We'll Prove it! "We are ladies and gentlemen serving ladies and gentlemen." Simplified Pricing Who really likes to haggle over a car? Not us - and probably not you. So we cut to the chase up front and offer the rock-bottom price on each vehicle from the start. It's simple, hassle-free and it saves you money. Actual Cash Value We don't juggle numbers by showing you an inflated trade-in value - matched by an equally inflated price on the vehicle you're purchasing. We appraise your trade-in at actual market value. And we'll buy your trade-in even if you don't buy your vehicle from us. The Patterson Difference Patterson's is different from other dealerships in many ways our customers appreciate. These differences have made us the area's top volume dealer over the last three decades. Panthera Metal 2019 Kia Stinger Premium RWD 8-Speed Automatic 2.0L 4-Cylinder Turbocharged Located at 2900 Jacksboro Hwy Wichita Falls,TX. 76309. Patterson KIA. Patterson Auto Group Mission: From the beginning, owner Harry Patterson stressed a simple philosophy... "If it's only good for me, it's not right. The transaction has to be good for the buyer and seller alike." Still active in the day to day operations, Patterson has continually made changes that make the buying experience easy. A few examples include: By listening to our clients, our team of trained, professional associates consistently provide a shopping, service and total ownership experience that exceeds each individual's expectations and fosters a "Client For Life" relationship. We are committed to being the best... We'll Prove it! "We are ladies and gentlemen serving ladies and gentlemen." Simplified Pricing Who really likes to haggle over a car? Not us - and probably not you. So we cut to the chase up front and offer the rock-bottom price on each vehicle from the start. It's simple, hassle-free and it saves you money. Actual Cash Value We don't juggle numbers by showing you an inflated trade-in value - matched by an equally inflated price on the vehicle you're purchasing. We appraise your trade-in at actual market value. And we'll buy your trade-in even if you don't buy your vehicle from us. The Patterson Difference Patterson's is different from other dealerships in many ways our customers appreciate. These differences have made us the area's top volume dealer over the last three decades. Aurora Black 2019 Kia Stinger GT2 RWD 8-Speed Automatic 3.3L 6-Cylinder Turbocharged Located at 2900 Jacksboro Hwy Wichita Falls,TX. 76309. Patterson KIA. Patterson Auto Group Mission: From the beginning, owner Harry Patterson stressed a simple philosophy... "If it's only good for me, it's not right. The transaction has to be good for the buyer and seller alike." Still active in the day to day operations, Patterson has continually made changes that make the buying experience easy. A few examples include: By listening to our clients, our team of trained, professional associates consistently provide a shopping, service and total ownership experience that exceeds each individual's expectations and fosters a "Client For Life" relationship. We are committed to being the best... We'll Prove it! "We are ladies and gentlemen serving ladies and gentlemen." Simplified Pricing Who really likes to haggle over a car? Not us - and probably not you. So we cut to the chase up front and offer the rock-bottom price on each vehicle from the start. It's simple, hassle-free and it saves you money. Actual Cash Value We don't juggle numbers by showing you an inflated trade-in value - matched by an equally inflated price on the vehicle you're purchasing. We appraise your trade-in at actual market value. And we'll buy your trade-in even if you don't buy your vehicle from us. The Patterson Difference Patterson's is different from other dealerships in many ways our customers appreciate. These differences have made us the area's top volume dealer over the last three decades. Snow White Pearl 2019 Kia Stinger GT2 RWD 8-Speed Automatic 3.3L 6-Cylinder Turbocharged Located at 2900 Jacksboro Hwy Wichita Falls,TX. 76309. Patterson KIA. Patterson Auto Group Mission: From the beginning, owner Harry Patterson stressed a simple philosophy... "If it's only good for me, it's not right. The transaction has to be good for the buyer and seller alike." Still active in the day to day operations, Patterson has continually made changes that make the buying experience easy. A few examples include: By listening to our clients, our team of trained, professional associates consistently provide a shopping, service and total ownership experience that exceeds each individual's expectations and fosters a "Client For Life" relationship. We are committed to being the best... We'll Prove it! "We are ladies and gentlemen serving ladies and gentlemen." Simplified Pricing Who really likes to haggle over a car? Not us - and probably not you. So we cut to the chase up front and offer the rock-bottom price on each vehicle from the start. It's simple, hassle-free and it saves you money. Actual Cash Value We don't juggle numbers by showing you an inflated trade-in value - matched by an equally inflated price on the vehicle you're purchasing. We appraise your trade-in at actual market value. And we'll buy your trade-in even if you don't buy your vehicle from us. The Patterson Difference Patterson's is different from other dealerships in many ways our customers appreciate. These differences have made us the area's top volume dealer over the last three decades.